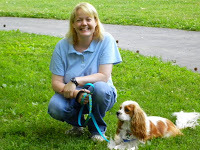 Tonya Wilhelm is considered an outstanding positive dog trainer and pet behavior expert with almost 20 years experience. Toledo-born, Tonya has worked her way across the country sharing her knowledge and education with thousands of dog and cat parents while dedicating much of her spare time working pro bono to help rescue dogs by raising funds for their care. Tonya started her career with dogs in 1998 as a kennel technician at The Capital Area Humane Society in Columbus, Ohio. While caring for the animals, Tonya was looking for ways to increase their adoptability so she started a quest to educate herself on the correlation between canine anxiety levels, how it affects their behavior and overall confidence. That same year Tonya accepted a volunteer position as a service dog trainer at Assistance Dogs of America while simultaneously taking on a paid position at South Suburban Animal Hospital. The volunteer status quickly led to a full-time, paid dog trainer position and she spent the next three years investing over 4,500 hours giving rescue dogs a new lease on life by providing them with the vital training needed to become registered service dogs. In 2001, Tonya moved to North Carolina to work at an established dog training school where she earned the coveted ” Instructor Of The Year Award” her first year. Tonya demonstrated her strong skills in entrepreneurship by simultaneously opening a private canine behavioral training service where she spent the next five years working with dog owners on dog behavioral problems such as thunder phobia, separation anxiety, dog to dog reactivity, fearfulness, and basic pet dog training. Tonya also volunteered her time to work with the local animal shelter where she assisted them in launching her Train-A-Pup Program. Family obligations brought Tonya back to her hometown of Toledo, Ohio in 2006 where she established the well-known Toledo Dog Training (Raising Your Pets Naturally). Tonya’s training service provides dog parents the tools and skill sets needed to train using positive reinforcement. Locally the clientele can receive either group instruction or private, one- on- one behavioral training. On a global level, Tonya provides online dog training and cat behavior services via phone and the internet. Tonya’s current projects include producing her own line of dog training videos and dog behavior books. Her recent publications include What’s For Dinner, Dexter? Cooking For Your Dog Using Chinese Medicine Theory that she co-authored with holistic veterinarian Dr. Judy Morgan, Proactive Puppy Care and Please Stay: Help For A Dog with Separation Anxiety and Dexter’s Delights: Fun and Healthy Treats for Dogs. Tonya’s other endeavors include freelance writing, public speaking, and blogging, keeping her audience current on canine and feline holistic advancements. In her spare time, Tonya can be seen doing television appearances to raise awareness of the importance of being educated on our pets health and training. She is also active in both local and national dog rescue groups where she provides free services to foster families and raising funds by hosting yearly fundraisers such as Dexter’s Birthday Bash, which goes to support Cavalier Rescue USA. For a complete list of continuing education and training philosophy, click here. Guest Speaker Details: Tonya Wilhelm provides a variety of workshops, lectures, and seminars globally. Dog training, cat behavior and holistic pet care and behavior topics can be geared towards pet parents, dog professionals or dog enthusiasts. If you are looking for a dynamic speaker who is able to present a variety of pet topics, visit the Guest Speaker page for details.